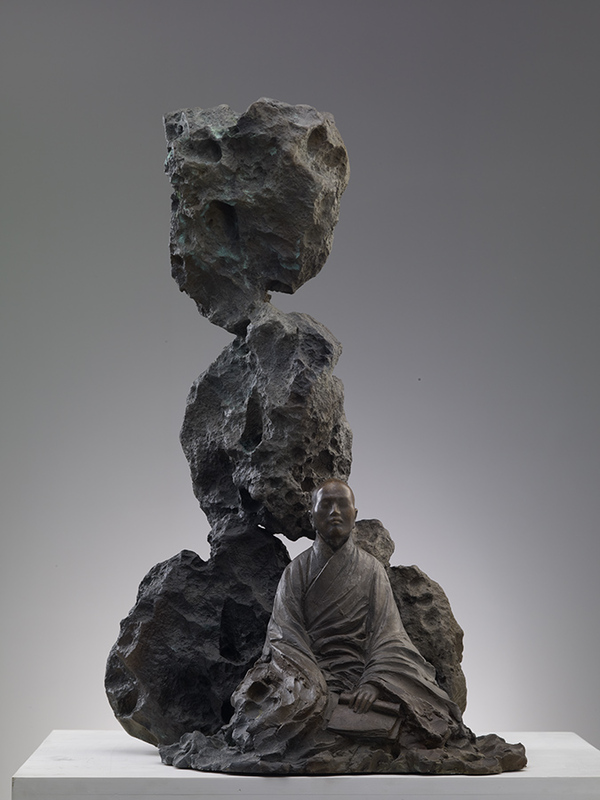 In the pattern of present aesthetic enchantment and contemporary disenchantment, Lv Pinchang eventually liberates the aesthetics from many authoritative ideologies, and considers this “liberation and doubt” in itself as the contemporary innovation. 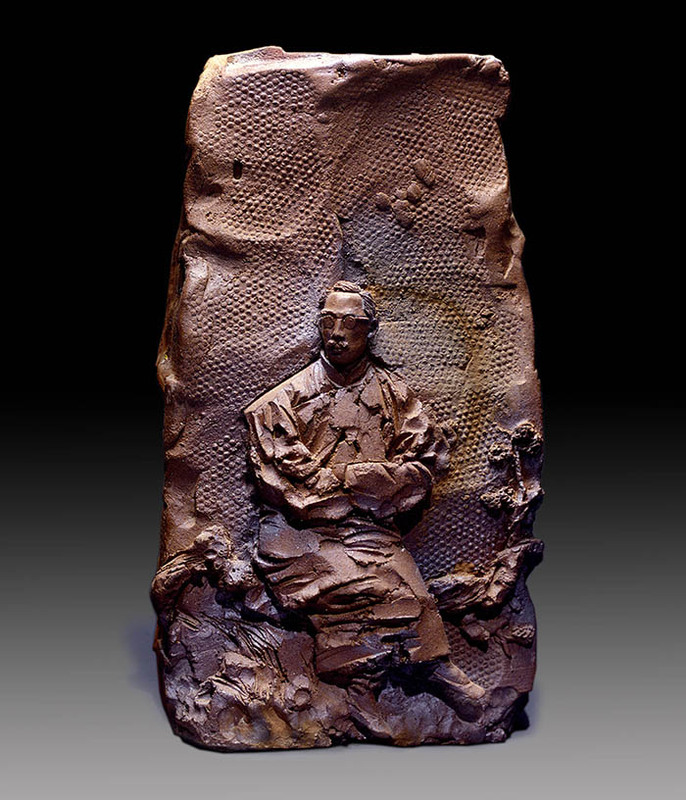 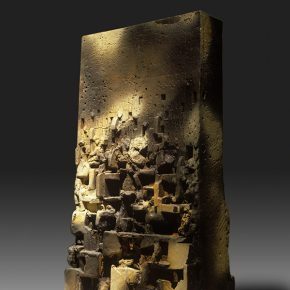 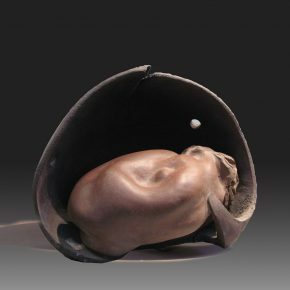 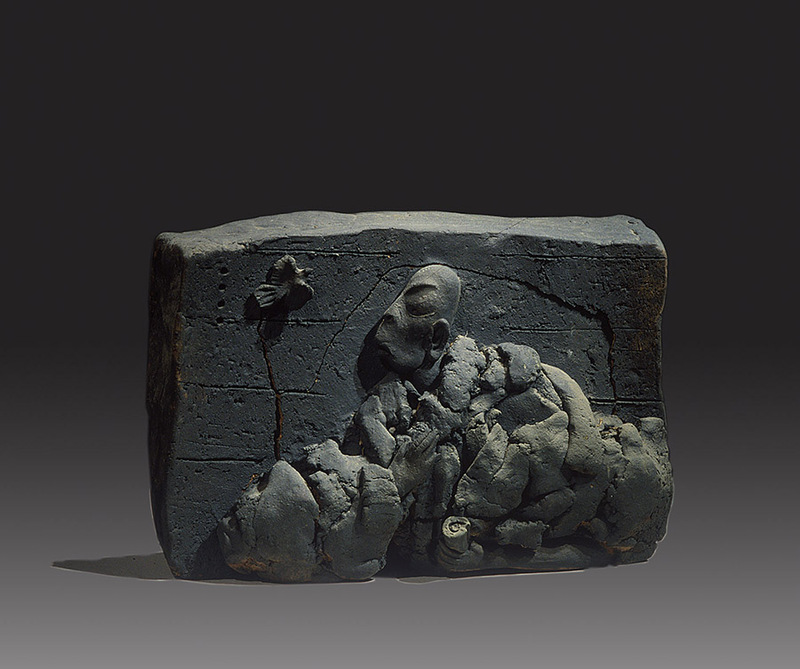 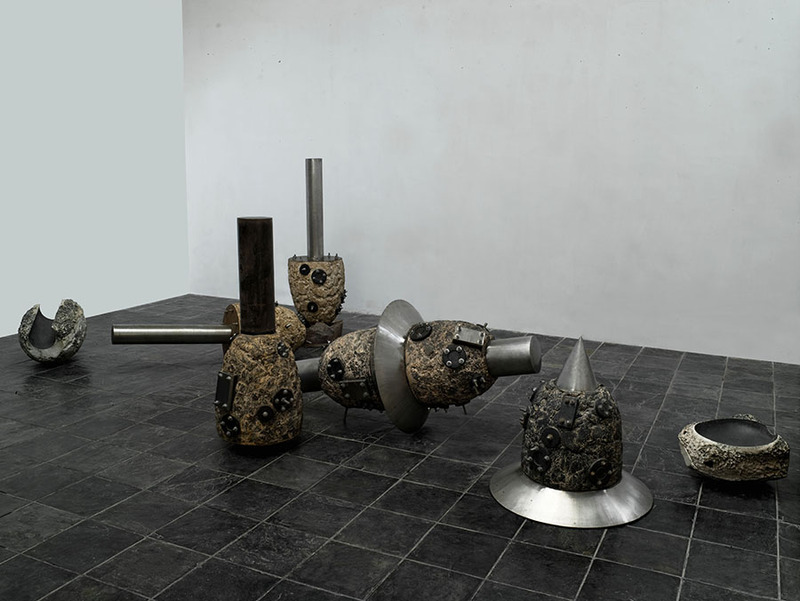 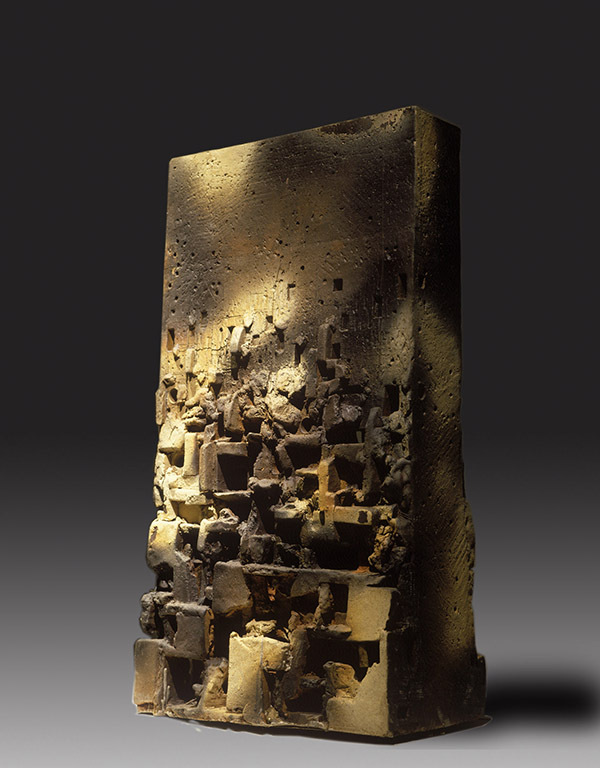 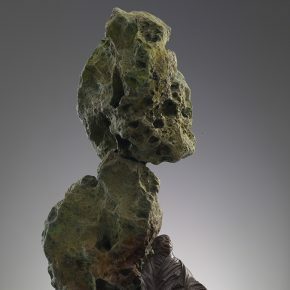 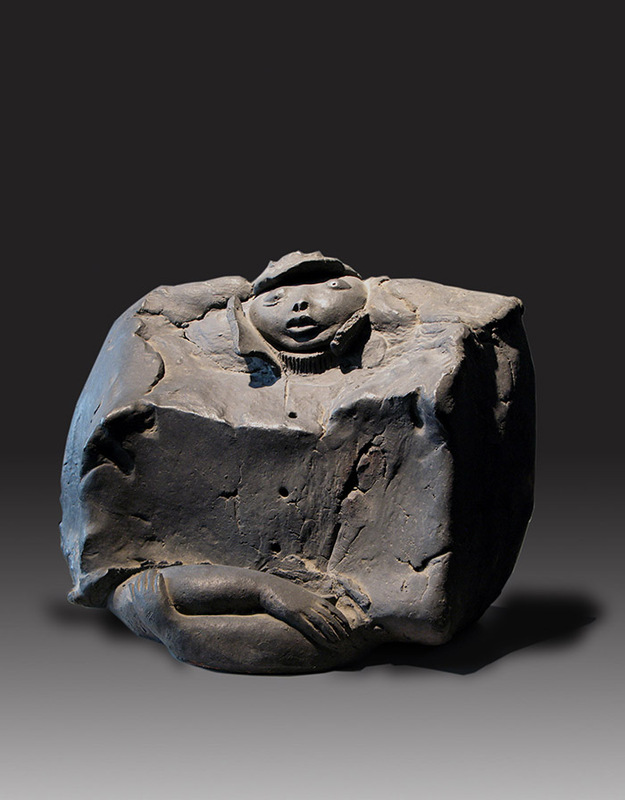 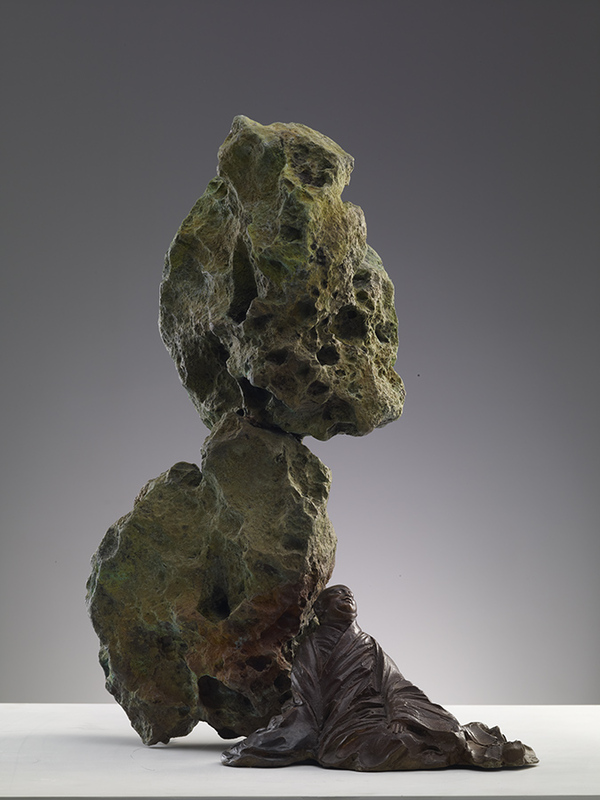 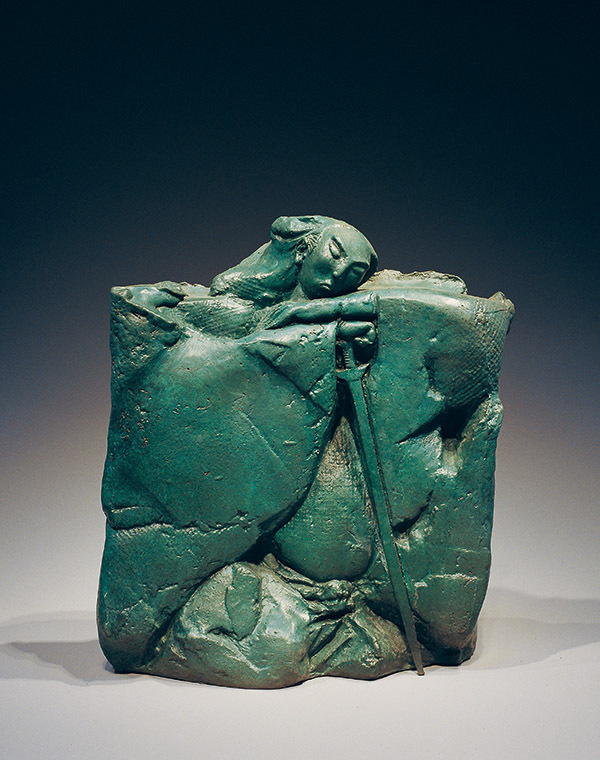 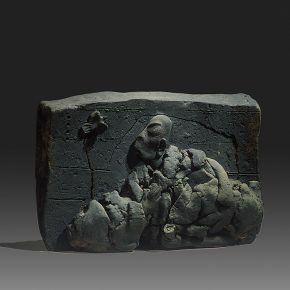 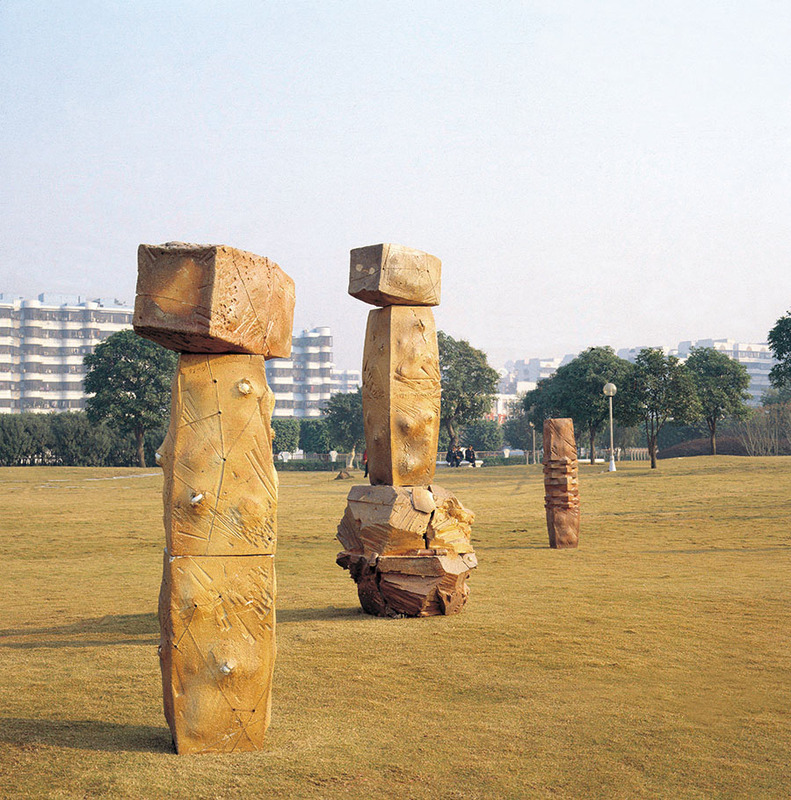 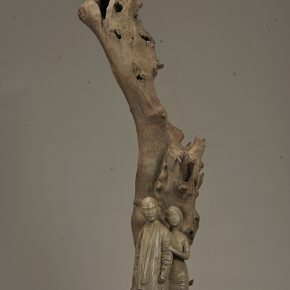 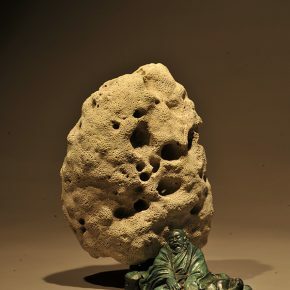 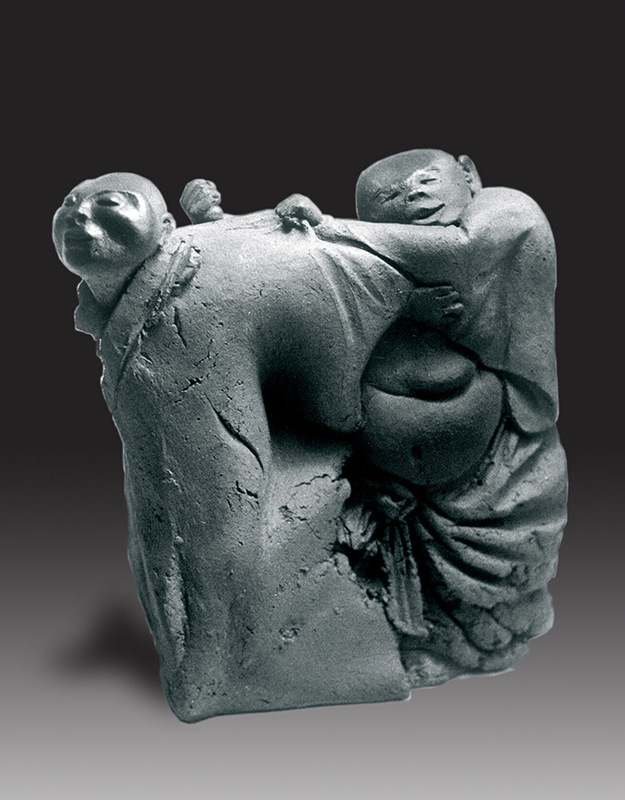 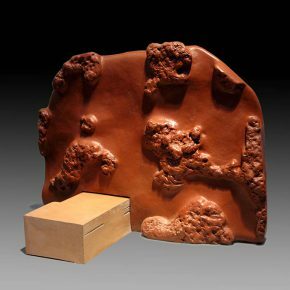 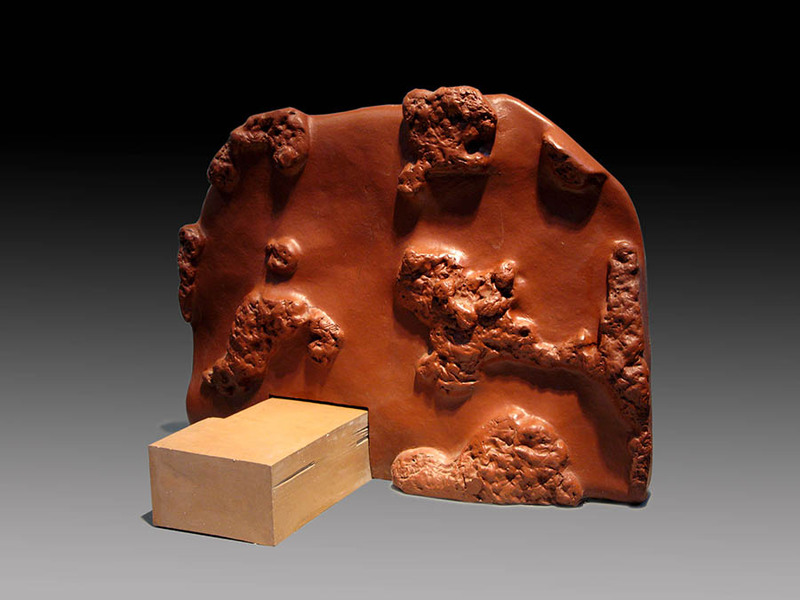 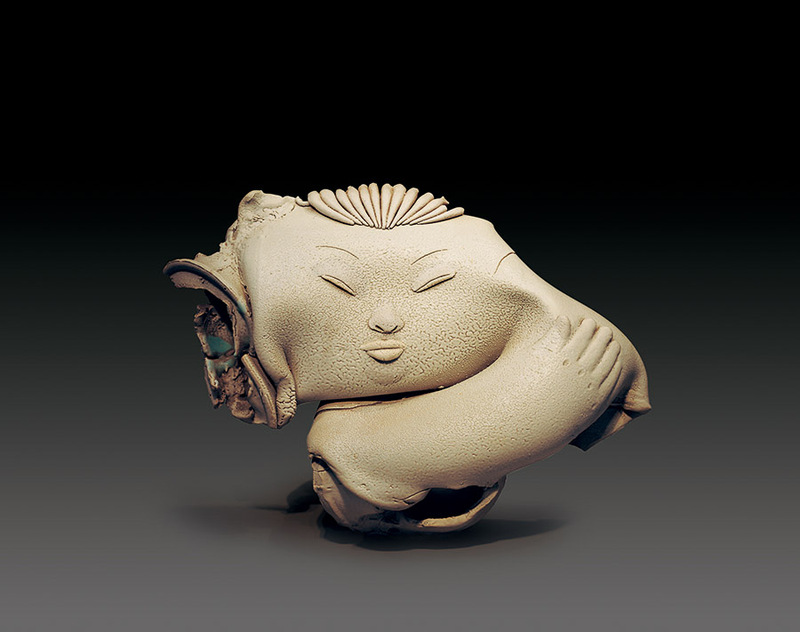 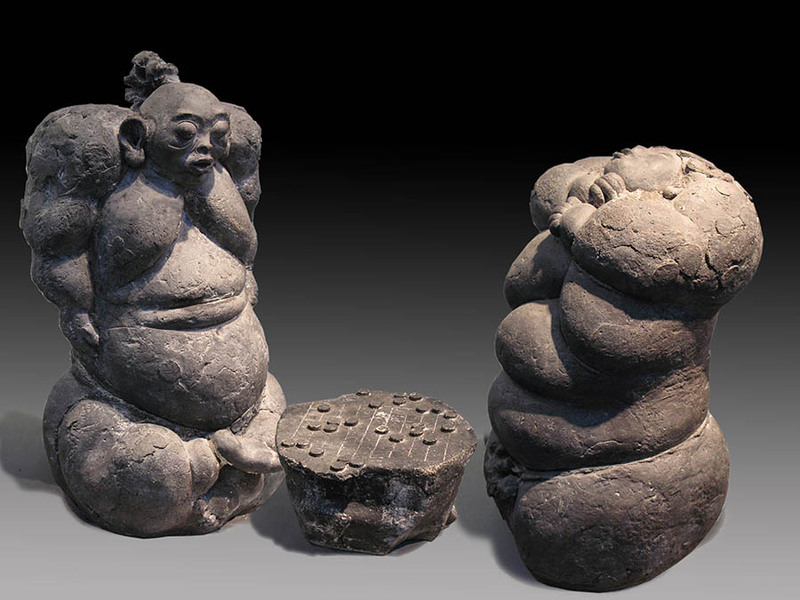 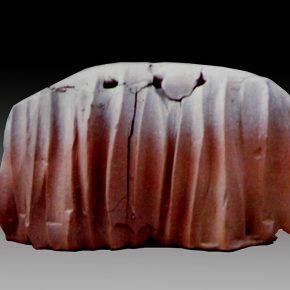 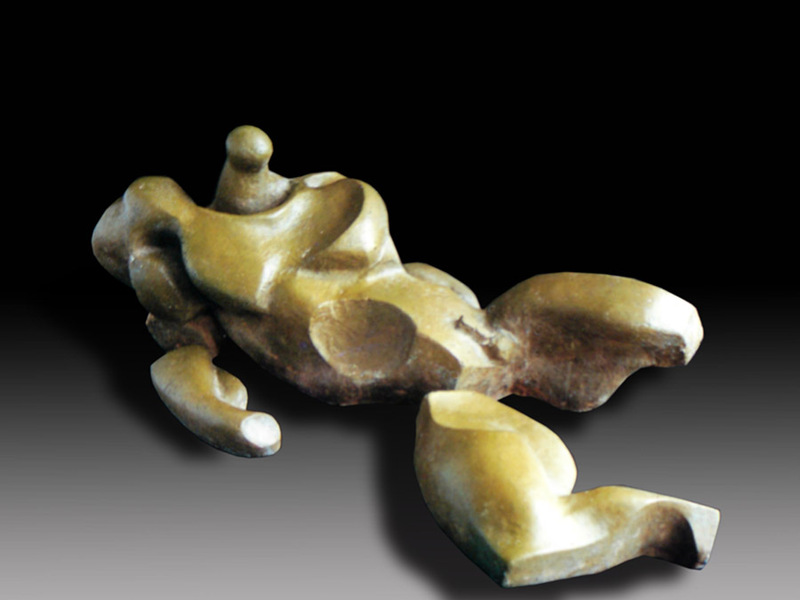 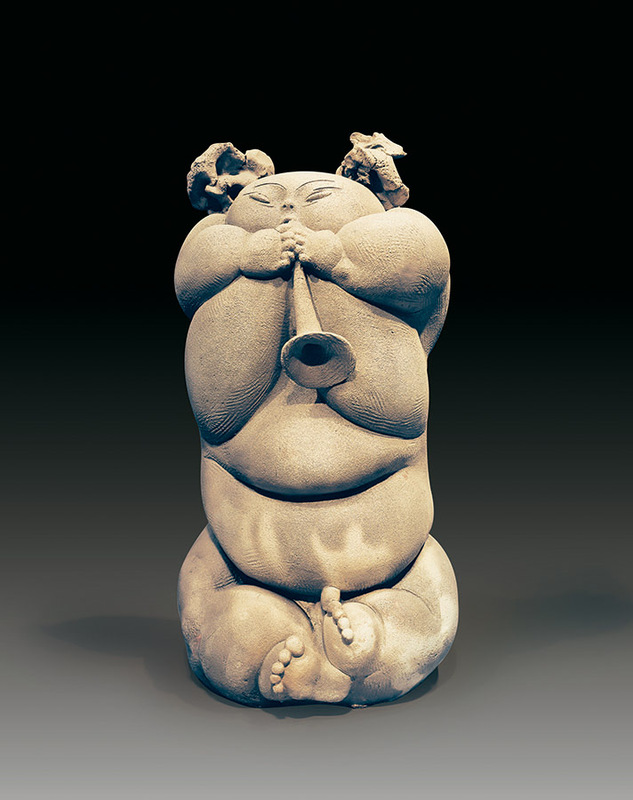 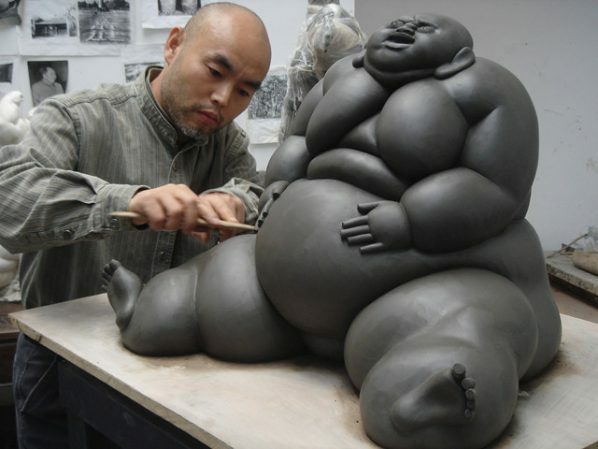 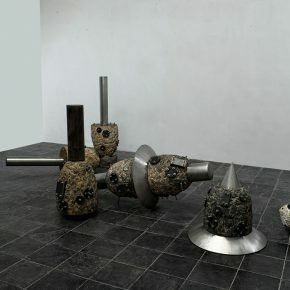 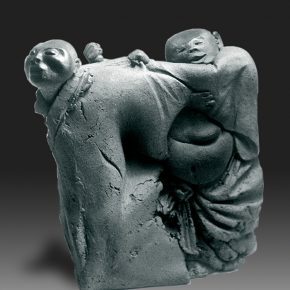 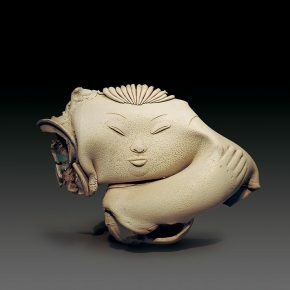 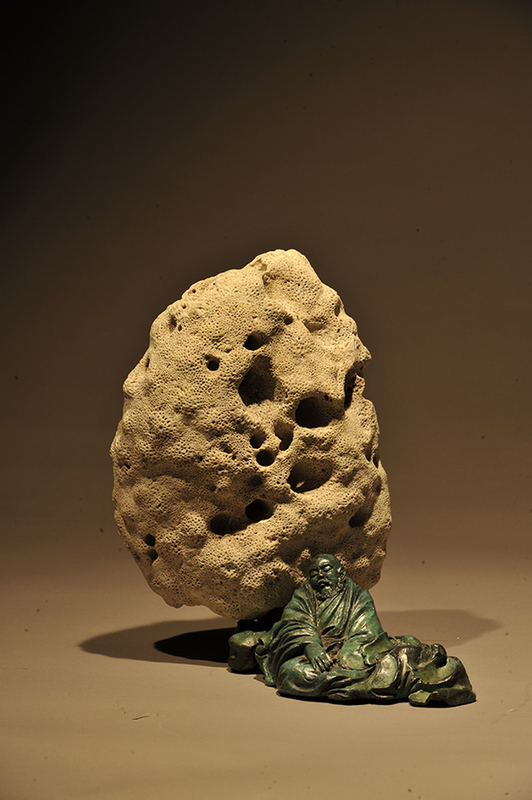 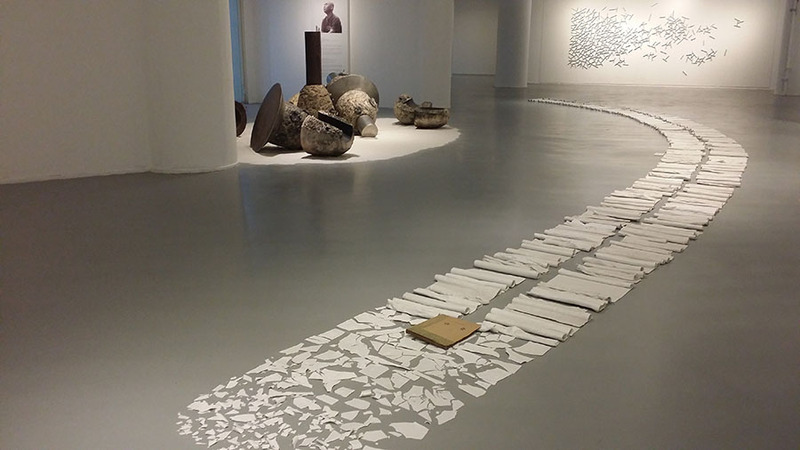 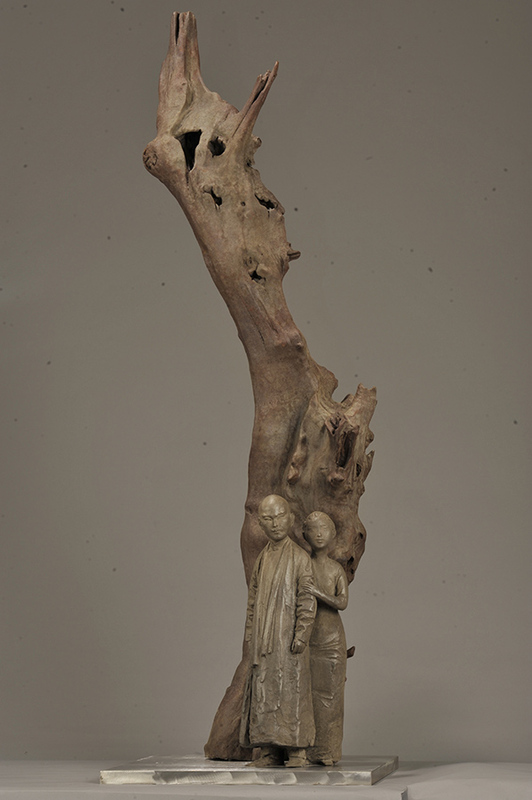 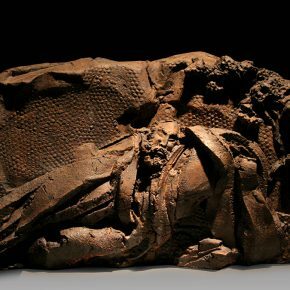 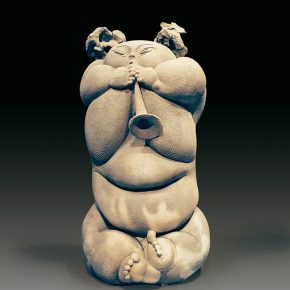 In contemporary Chinese sculptural circles, Lv Pinchang’s achievement lies in his ability to alternate between producing sculpture and ceramics, his contradictions and confusions also exist between sculpture and ceramics, how to unify the attention on one of the basic sculptural values “sense of volume and tactile”, and the love of “the beauty of form and texture” of ceramic art in generating a process of contemporary artistic “modernity”: the way out of solving the puzzle is seeking the intrinsic consistency between sculpture and ceramics from the cultural and spiritual perspectives. 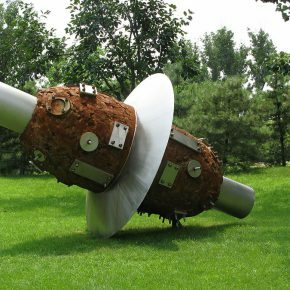 Personally, I dislike the works that purely play with ideas but ignore skills. 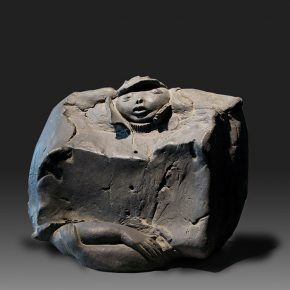 Compared with philosophers and social scientists, the so-called “thinking depth” of artists is poor. 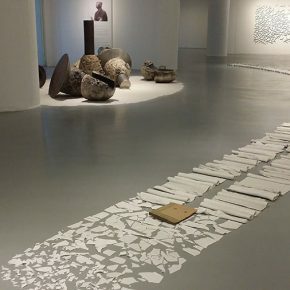 For artists who have advantages to create visual forms, they should strive to maintain and present the unique direction of visual artists, insisting on artists’ shaping skills, to fully display the craft and technology that creates visual forms. 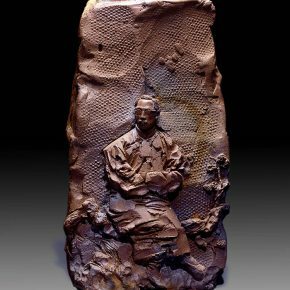 I believe that, the so-called good work should be both able to profoundly perform in regards to artists’ thought and emotion, and be of high technical content at the same time. 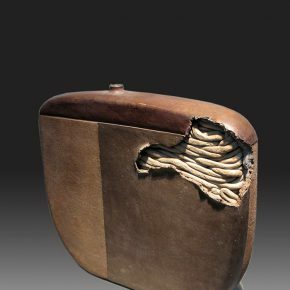 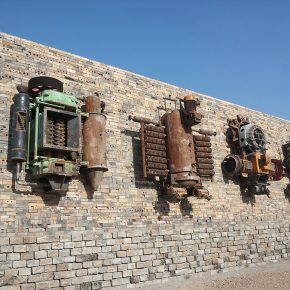 Although people choose things, things can inspire people’s creation, so artists should attach importance to the characteristics of the material media. Pay attention to exploring various potential factors of materials, to make full use of materials. 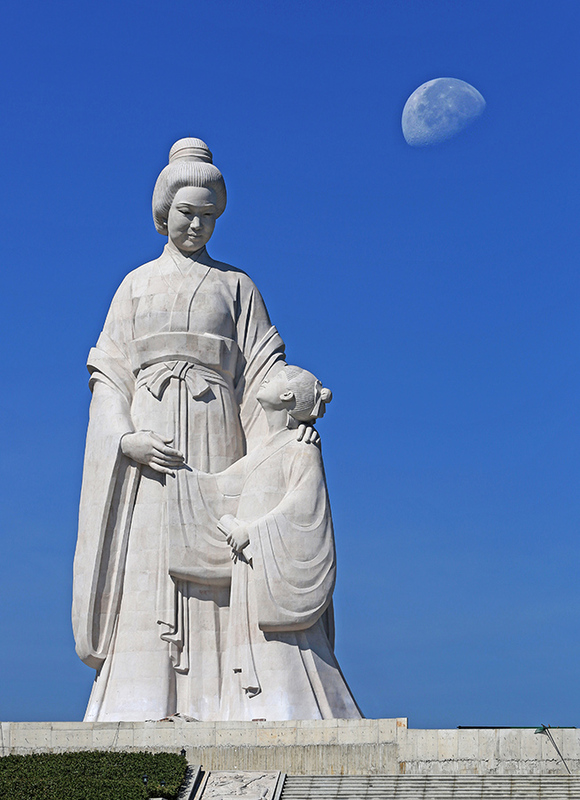 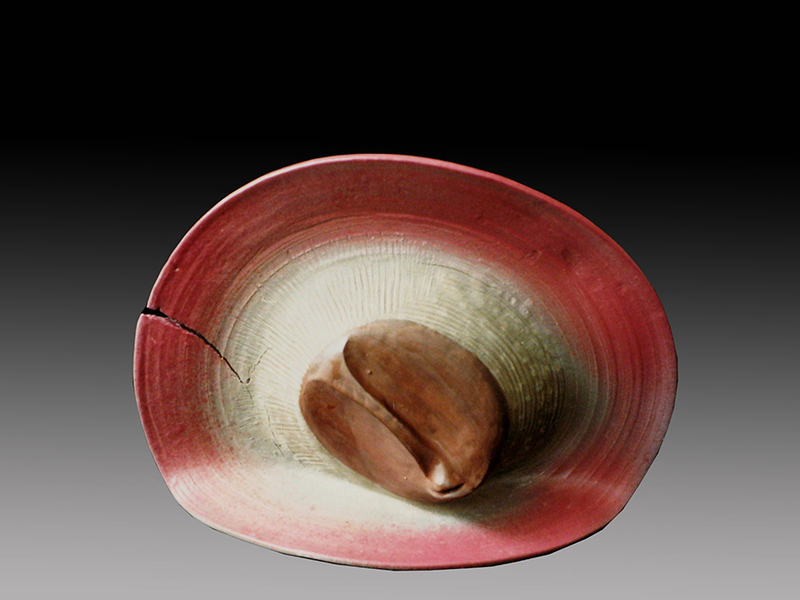 Various aesthetic potencies of ceramic textural defects can also be discovered and applied by artists. 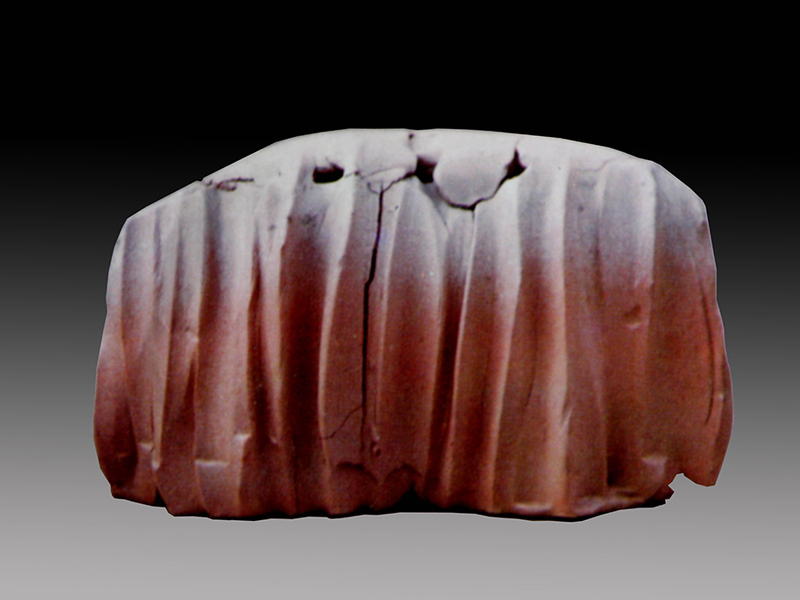 If we blindly pursue a perfect skin texture, rejecting or despising the use of the performing potency of defected textures (including other skin textures and forms), the way of artistic expression will be narrow, and the artistic language too monotonous, mediocre, boring, mechanical, thus the work of art lacks an aesthetic spirit. 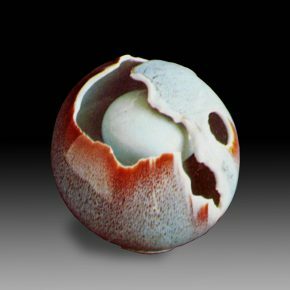 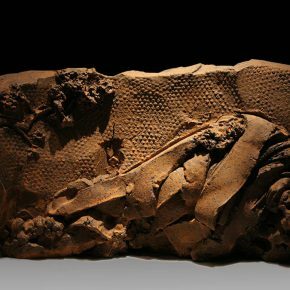 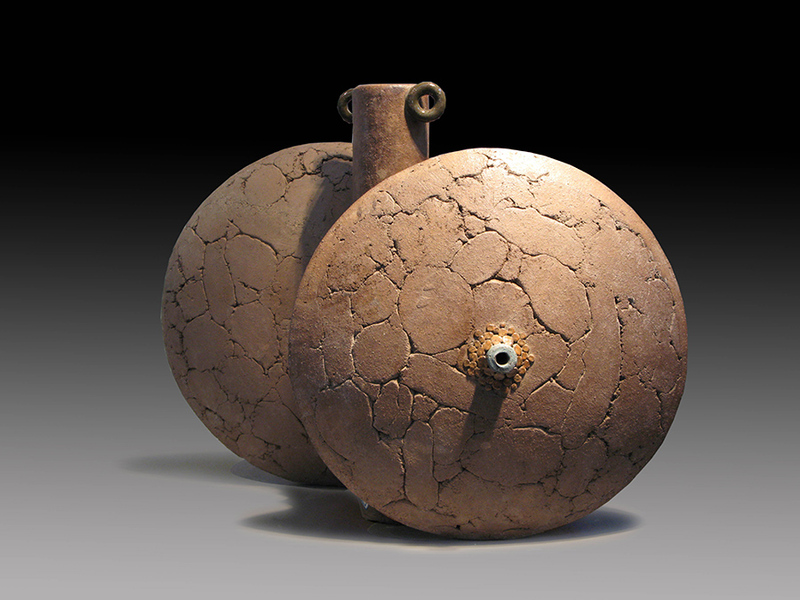 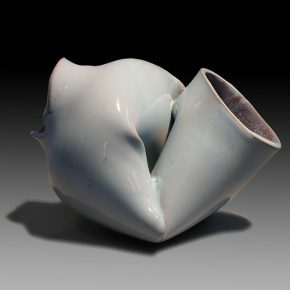 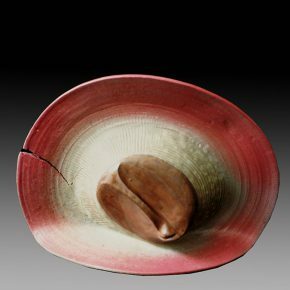 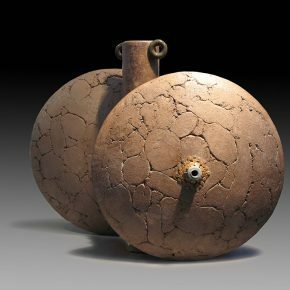 In the firing of ceramics, the natural clay experiences is a “baptism” of fire and has a “vitrified” qualitative change. 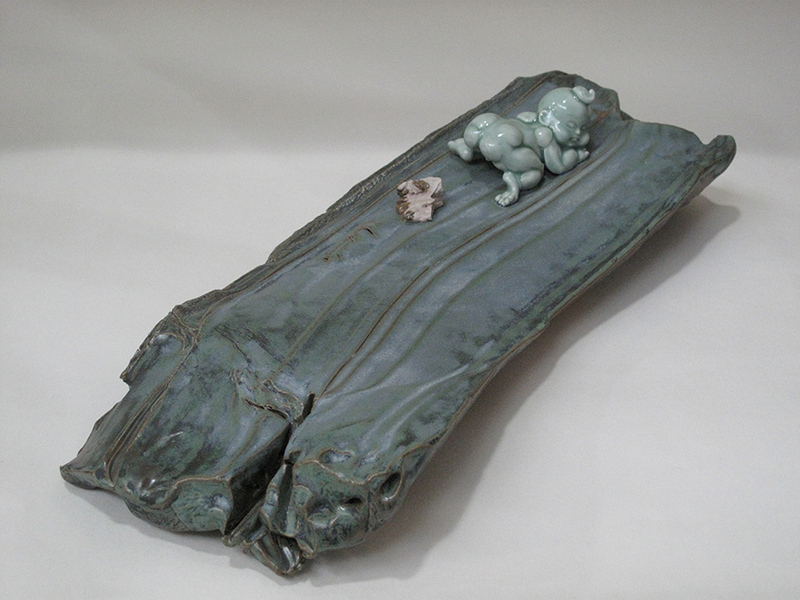 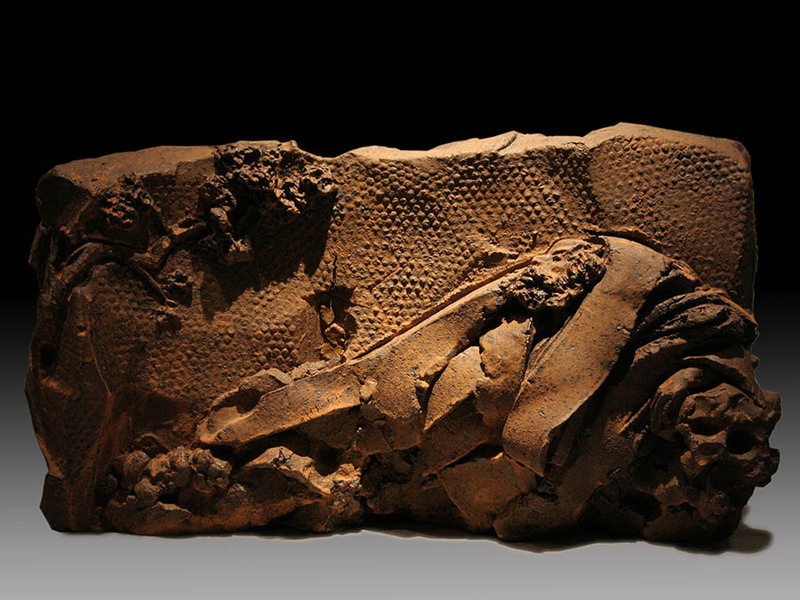 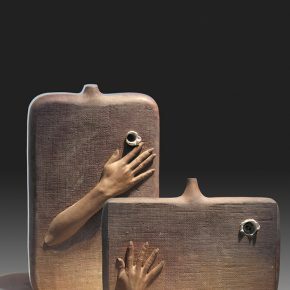 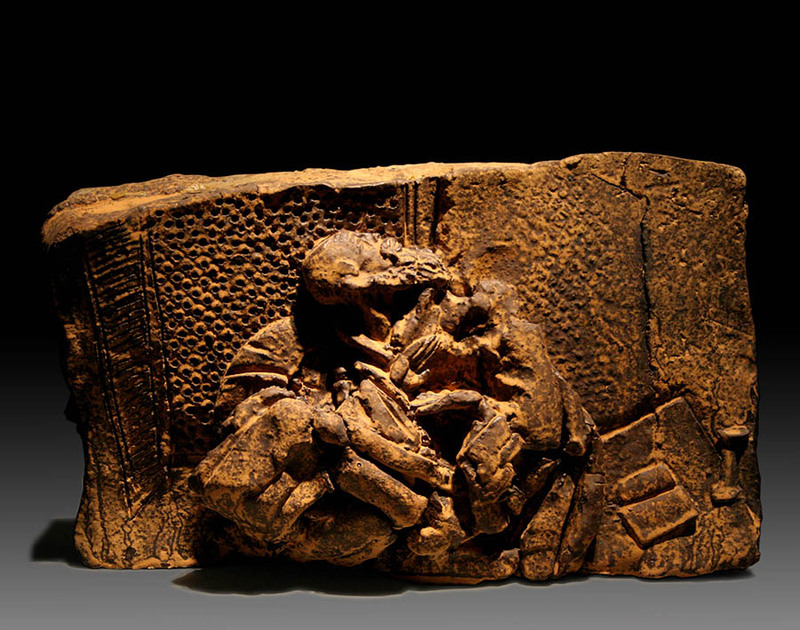 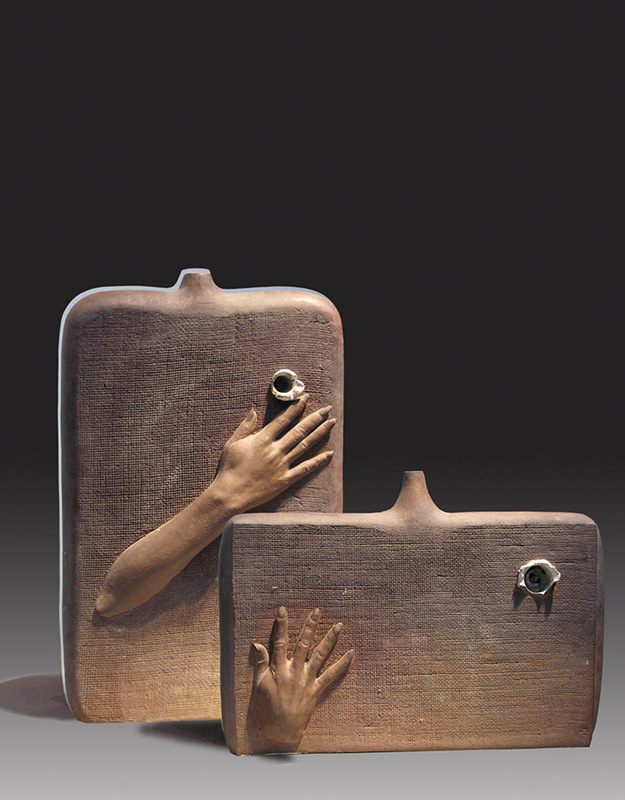 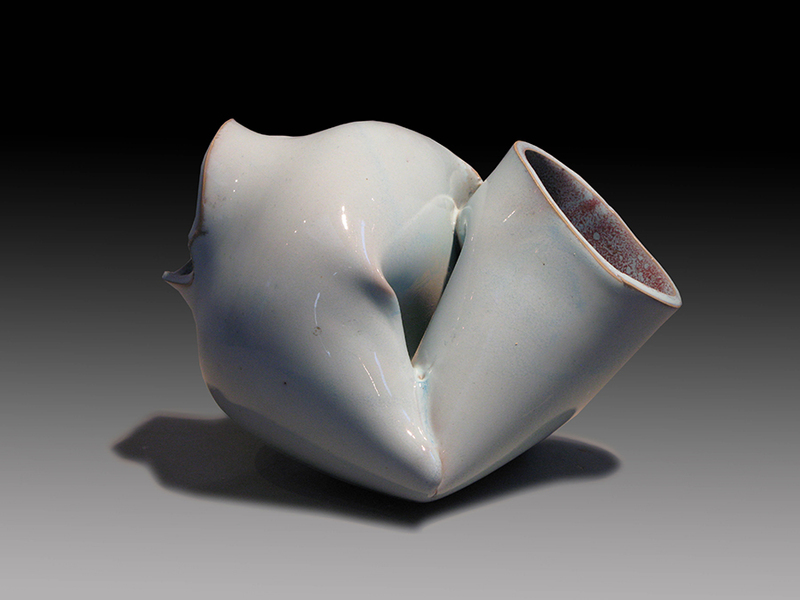 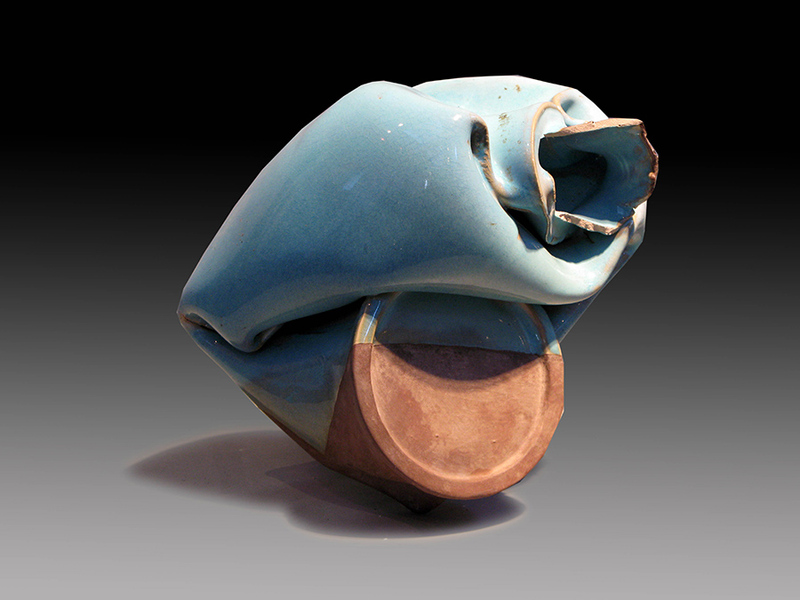 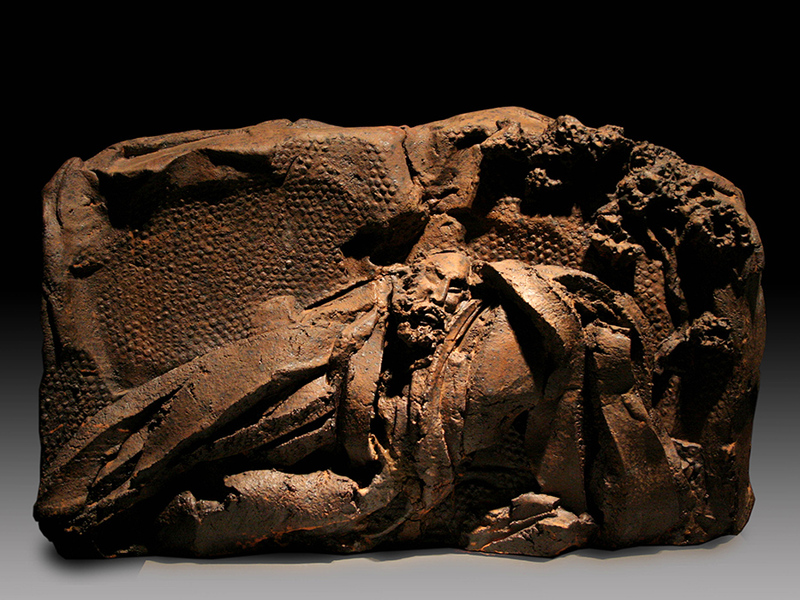 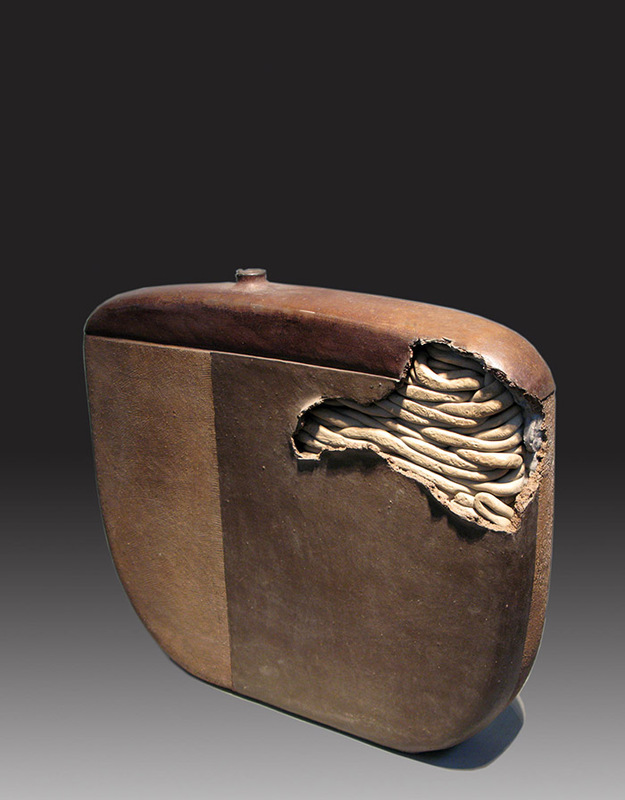 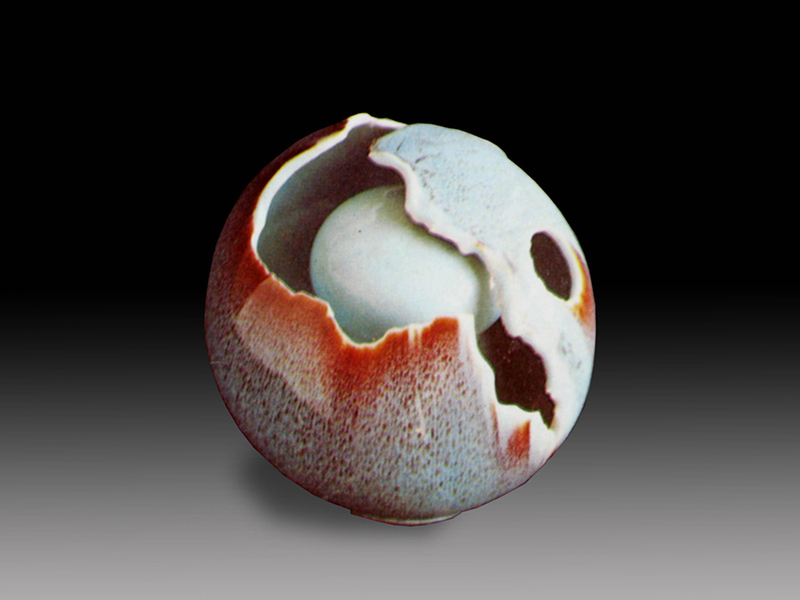 The birth of any piece of ceramic art works experiences a similar qualitative change. 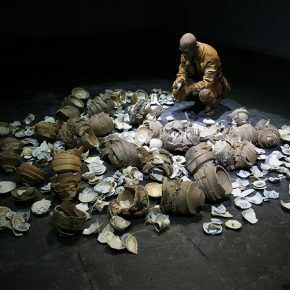 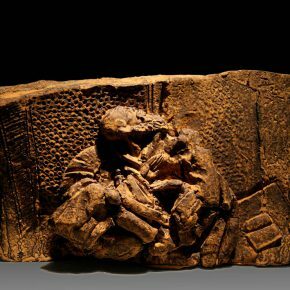 Of course, Lv Pinchang’s new ceramic works don’t start from a profoundtheoretical thinking, but come from a new feeling, a psychological need of the new period. 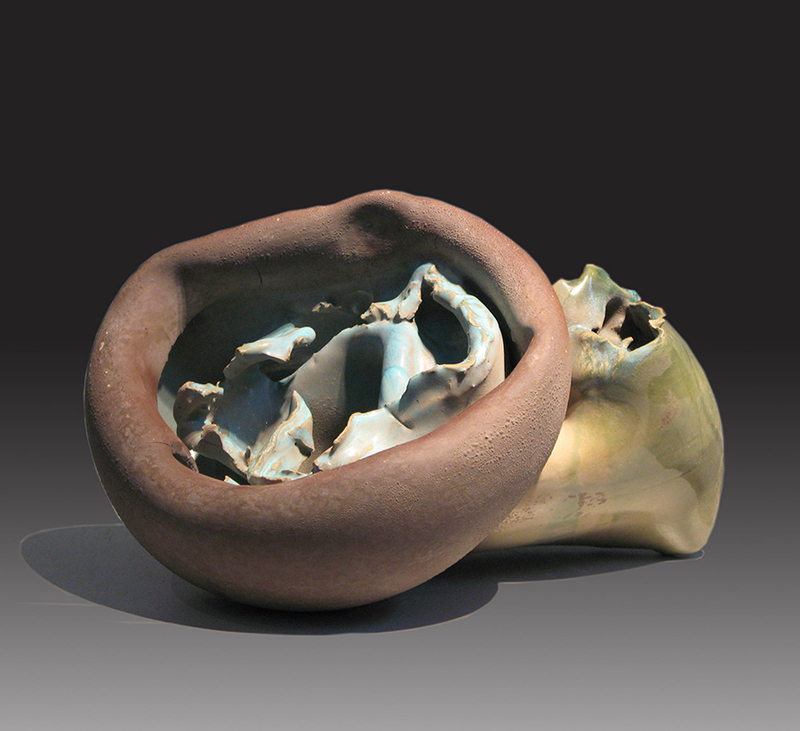 In this new artistic pursuit, it contains a criticising attitude on the traditional artistic language. 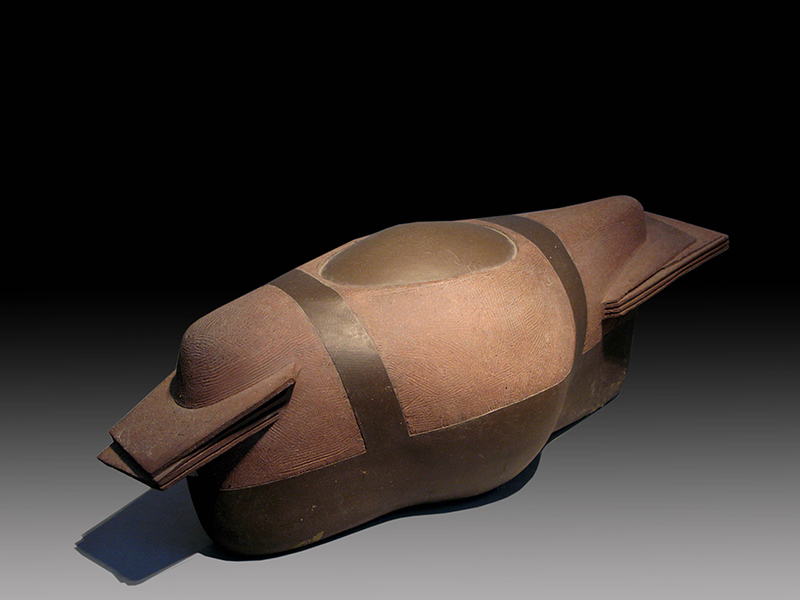 In the processing of shape and form, I pay attention to the alternate sense between the inner and outer spaces, as well as the flow, to leave the audience with an imaginative space, in the grasping of the superficial skin textural effect, I strive to maintain or reveal marks of clay and fire, through an abstract spatial form which is full of bitterness and a profound sense, to express both longing and confusion, both sweet and bitter tastes, both close and distant complicated emotional experience of Chinese culture. 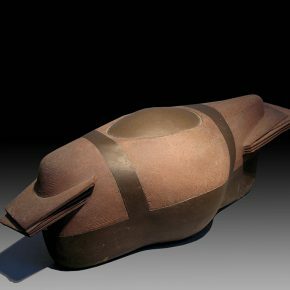 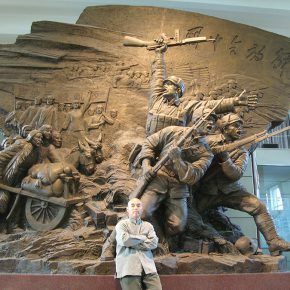 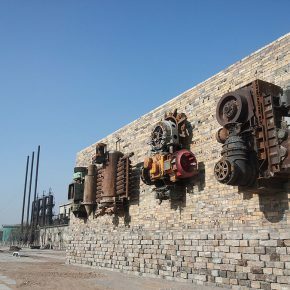 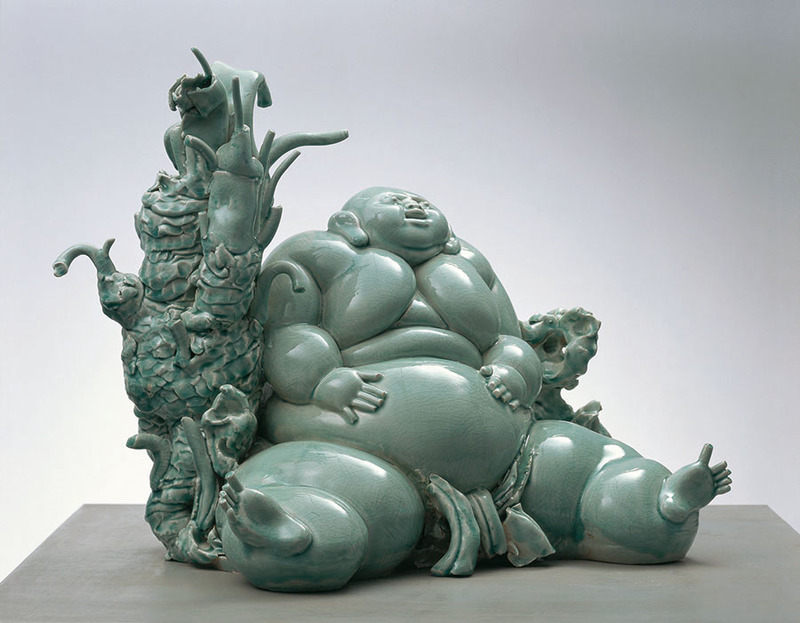 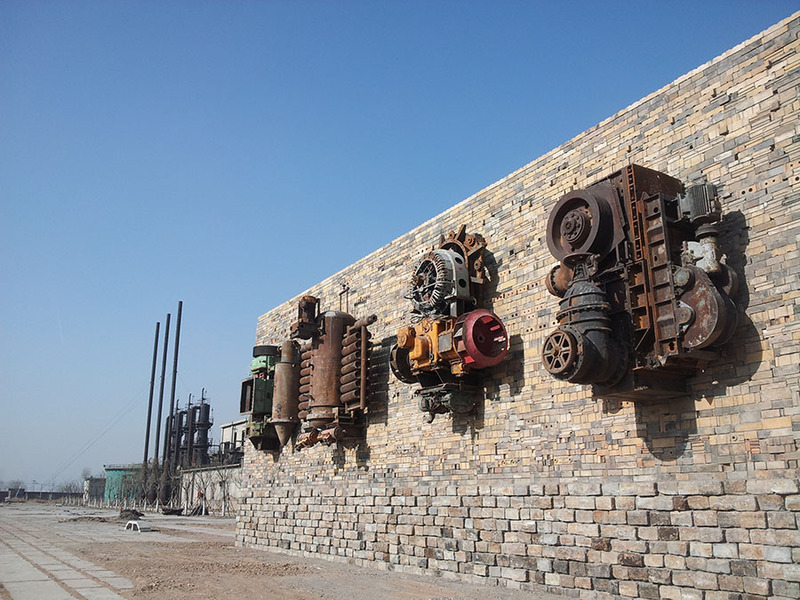 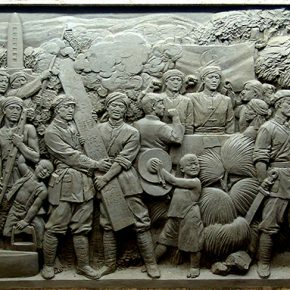 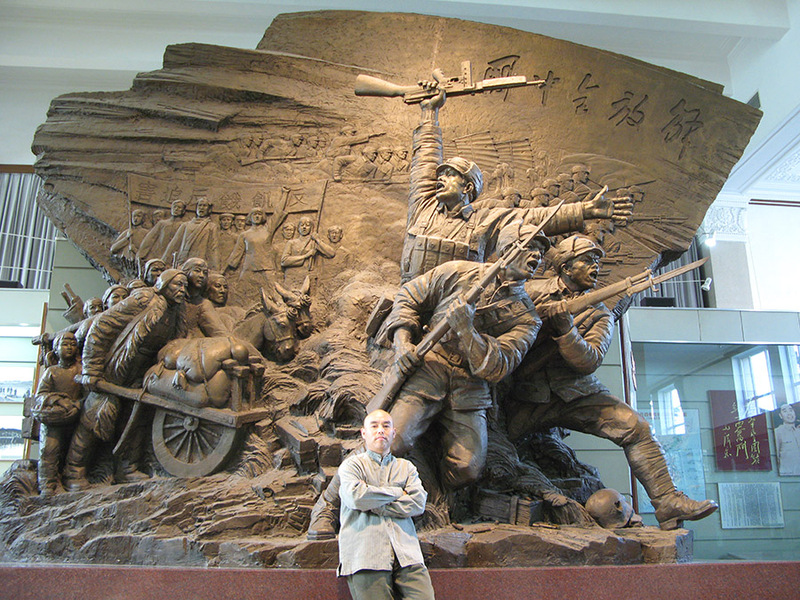 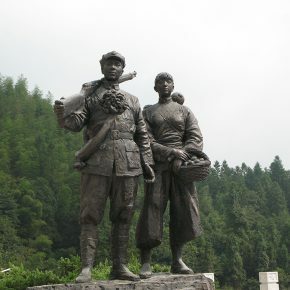 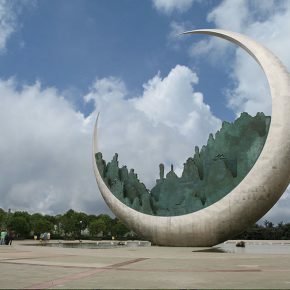 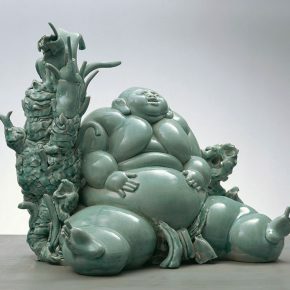 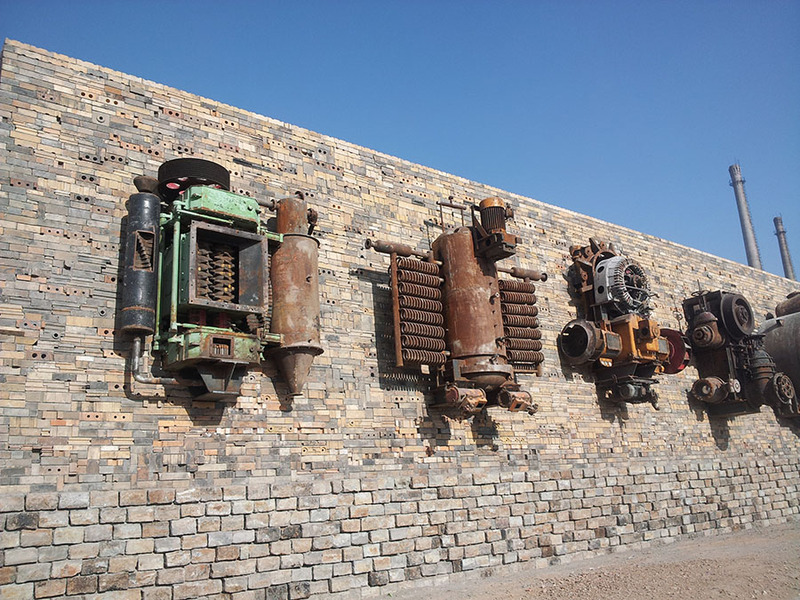 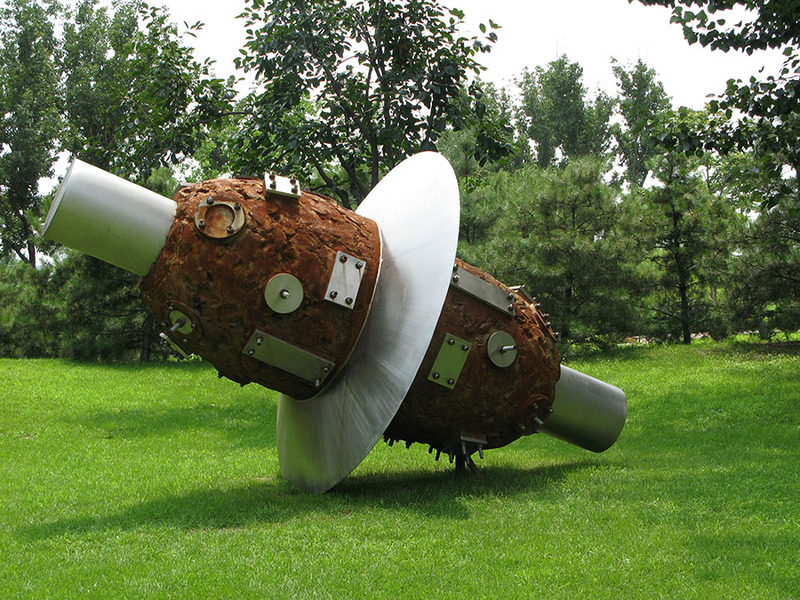 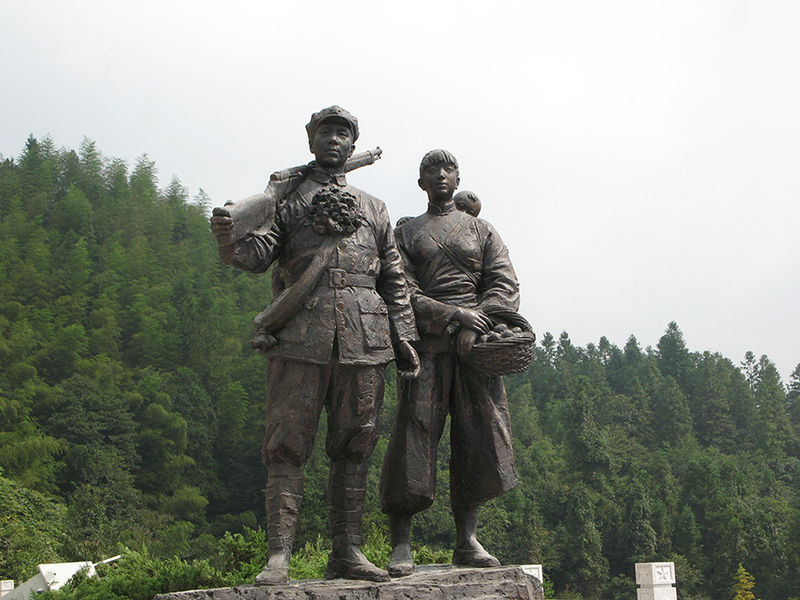 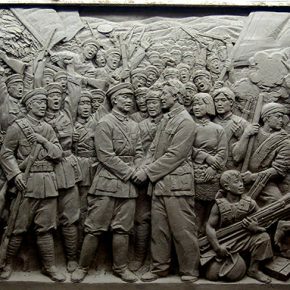 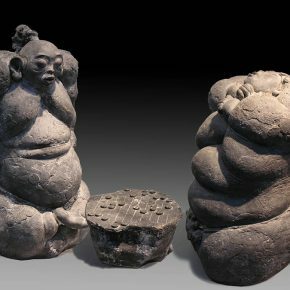 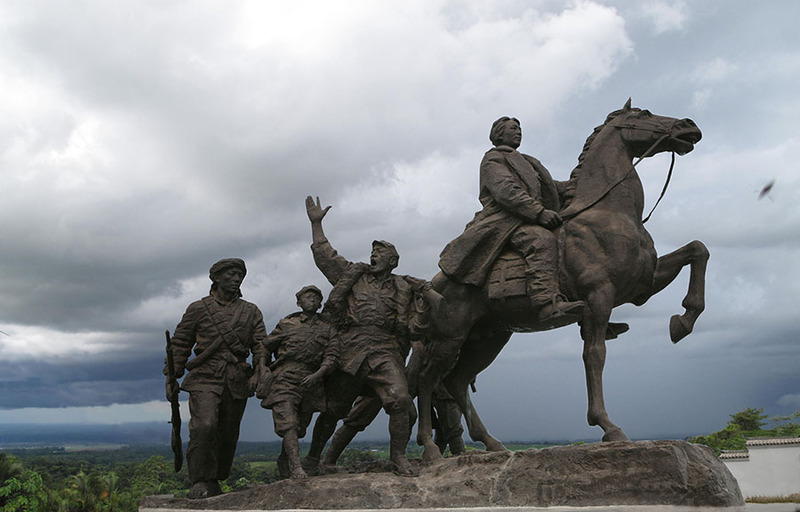 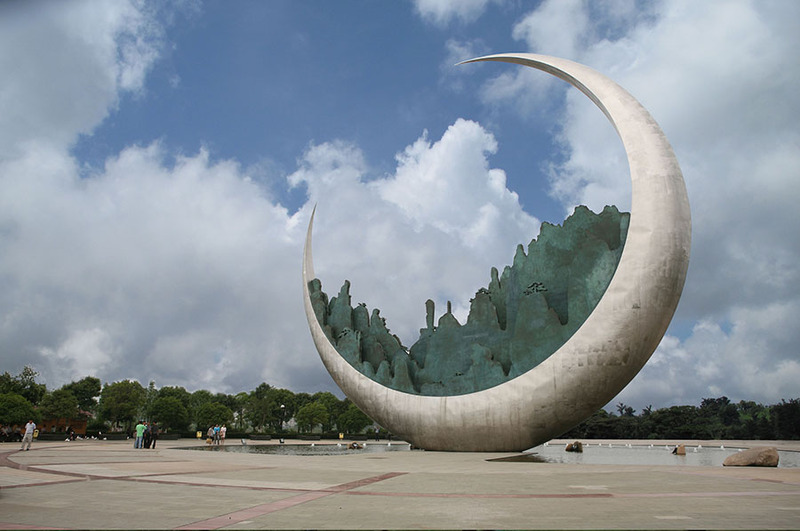 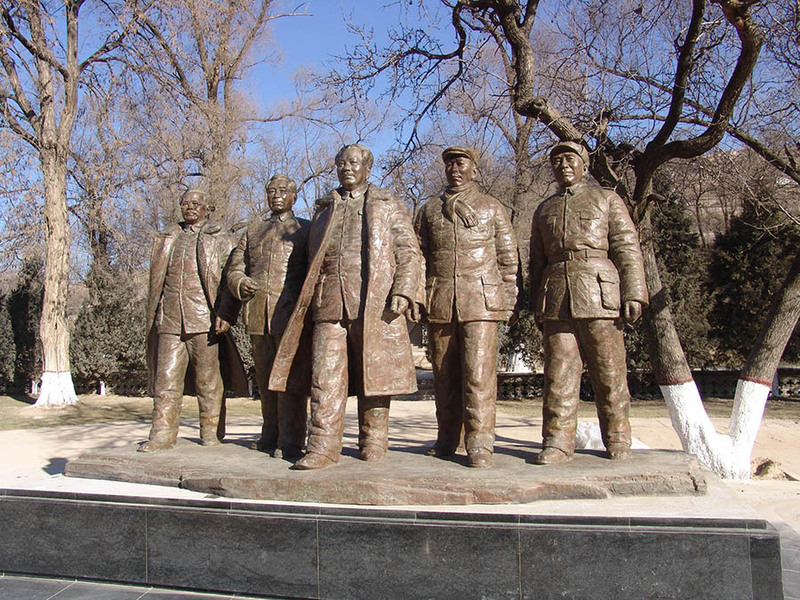 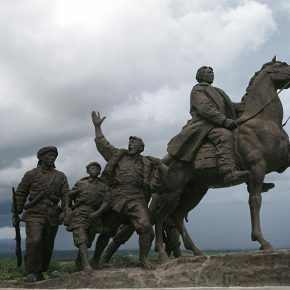 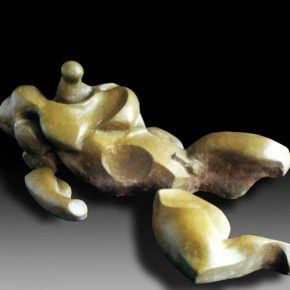 Born in Jiangxi province in 1962, Lv Pinchang graduated from the Department of Sculpture, Jingdezhen Ceramic Institute in 1982, and studied in the Department of Sculpture, China Academy of Art in 1983, he received a master’s degree in 1988. 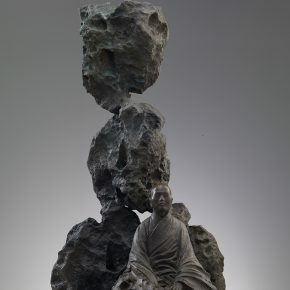 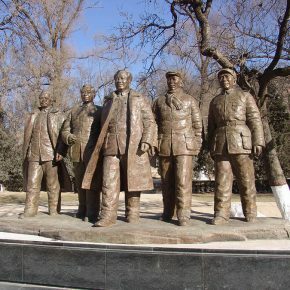 He is currently Director of the Department of Sculpture, CAFA, professor and doctoral supervisor; Vice Chairman of the China Association of City Sculpture; Deputy Director and Secretary-General of the Sculpture Art Committee of China Artists Association; Deputy Director of the Art Committee at the National City Sculpture Steering Committee; Distinguished Sculptor of the China Institute of Sculpture at Chinese National Academy of Arts; Distinguished Sculptor of the Institute of Sculpture at the China National Academy of Painting; member of the standing committee of the China Sculpture Institute. 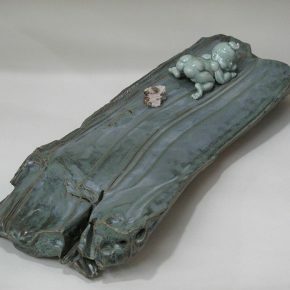 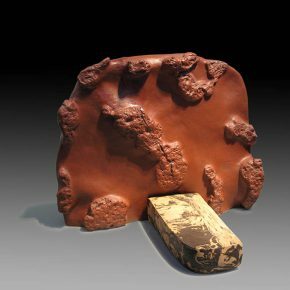 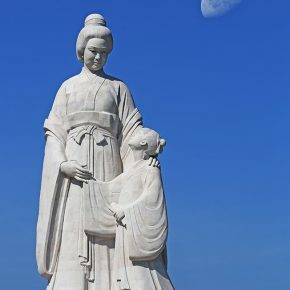 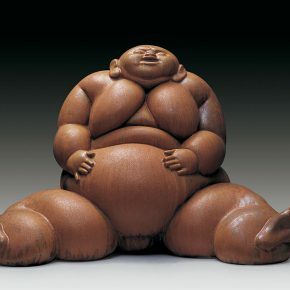 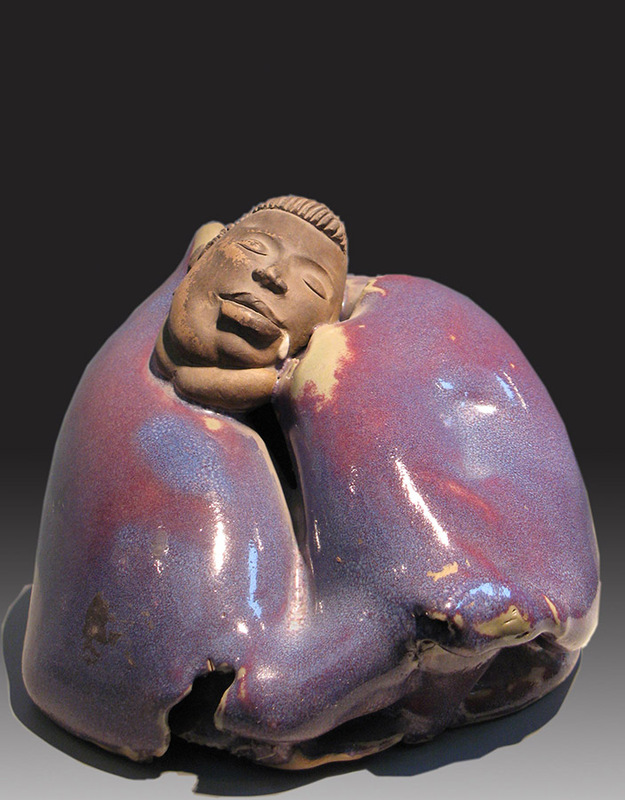 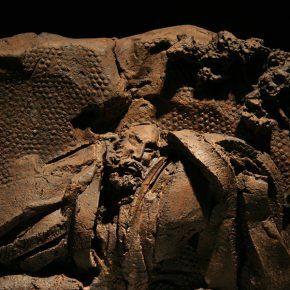 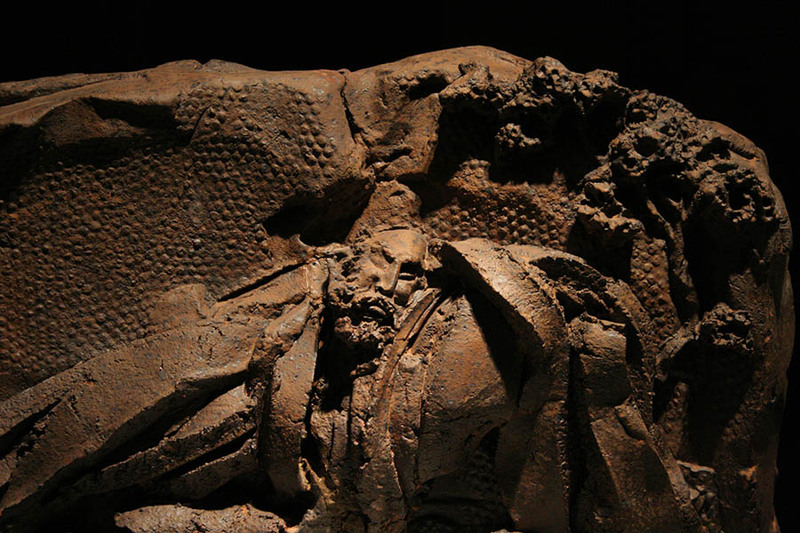 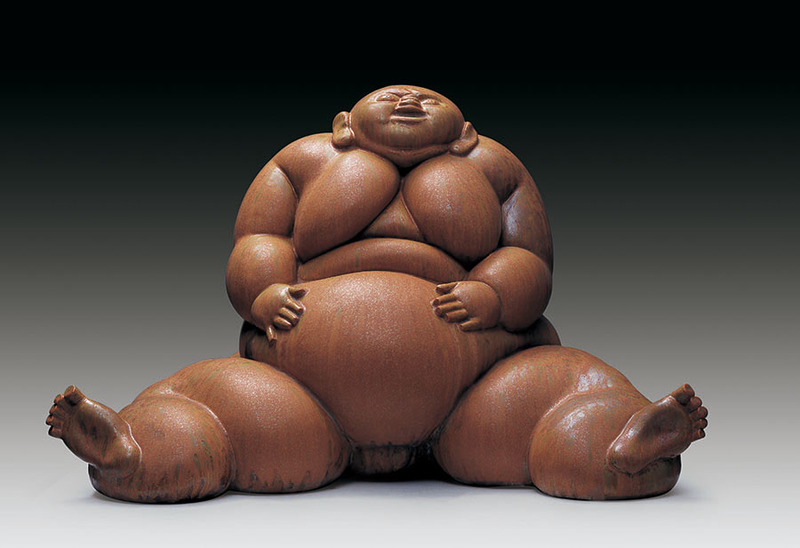 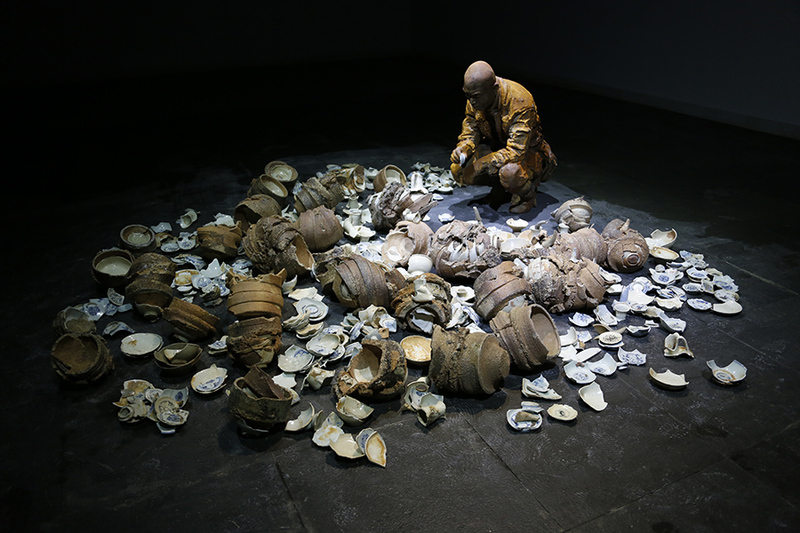 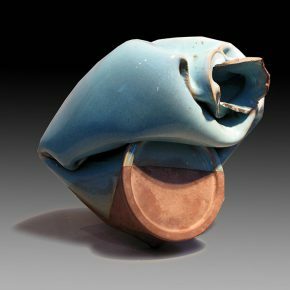 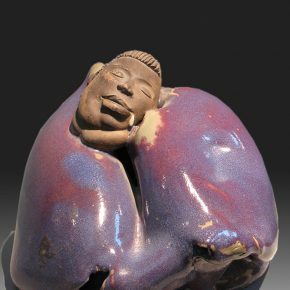 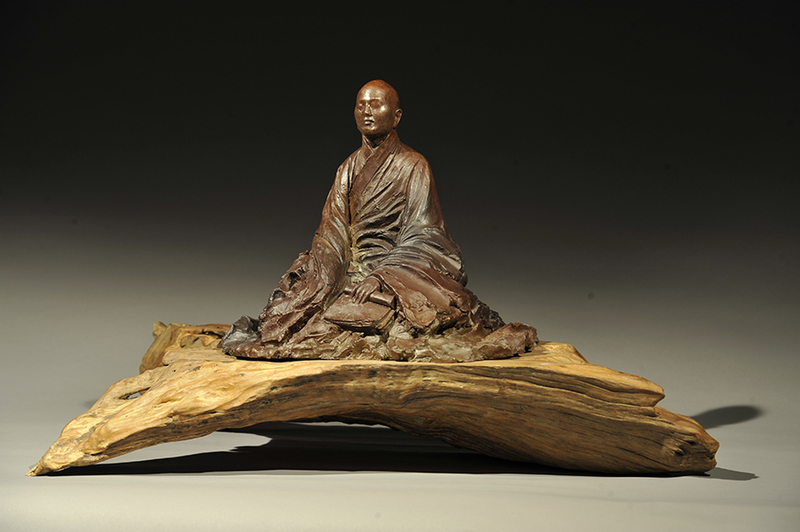 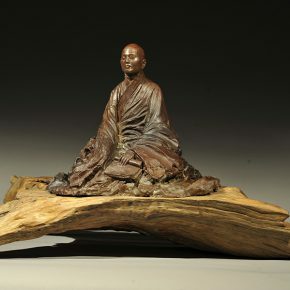 He has enjoyed the special government allowance by the state council since 1992; he is a member of the International Association of Ceramics (IAC).